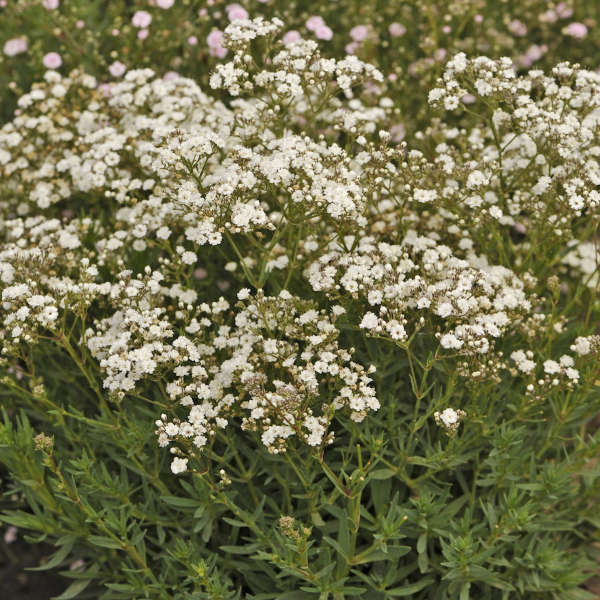 Gypsophila paniculata FESTIVAL STAR� ('Danfestar' PP14818 CPBR2631) | Walters Gardens, Inc. Needs 200ppm fertilizer for optimum growth. Cold beneficial. Cool for 6-9 weeks for increased bud count. 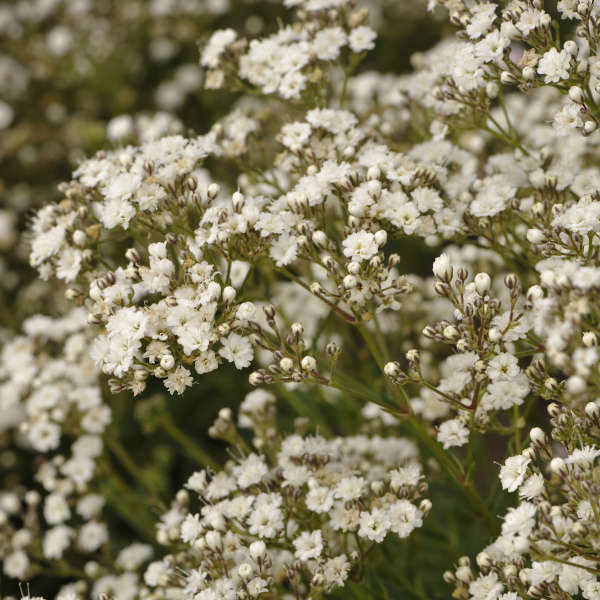 No serious pests or diseases affect Gypsophila. 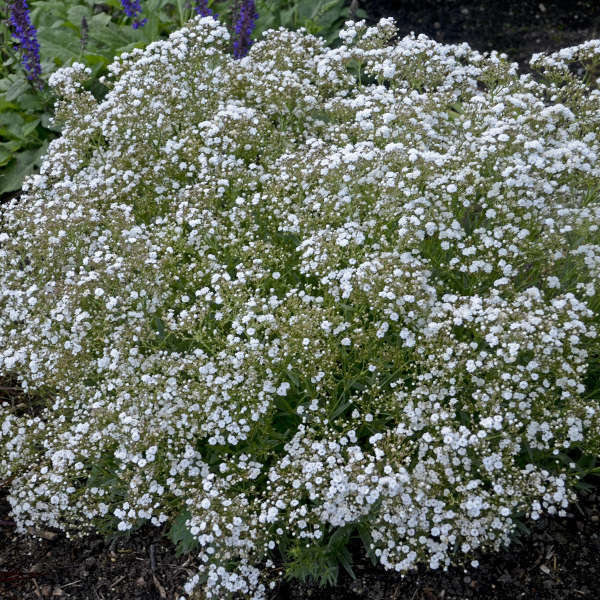 You'll want to scout for Thrips, Mites and Leaf hoppers on a regular basis. Watch for Botrytis blight and stem rots with too much moisture. A slow grower, so plan accordingly. Warm and slightly dry conditions after transplanting speeds rooting in and growth. 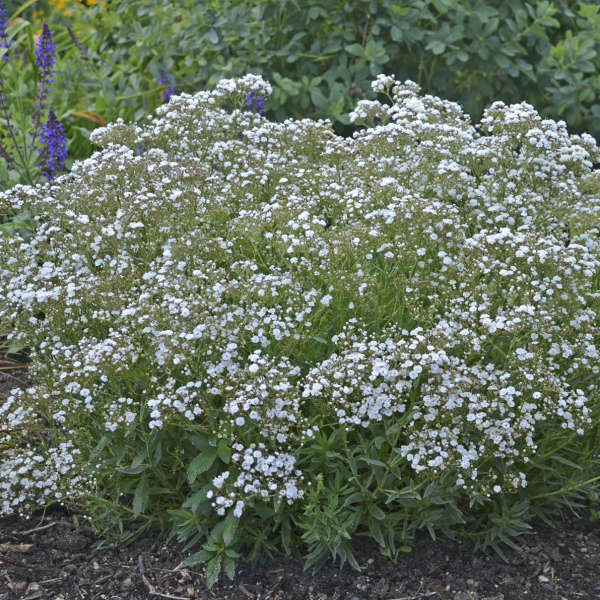 Place crown at or slightly higher than the soil level. 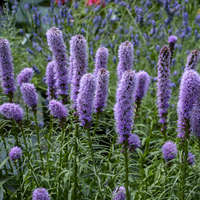 Plants need long days or supplemental light to flower early. 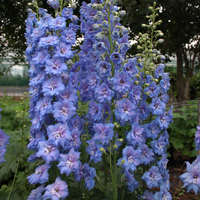 Hold at 40-50° F outdoor temperatures. 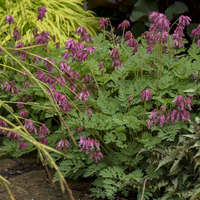 Will continue to bloom without dead-heading but removing old blooms may encourage additional blooming.